I am both a Broadway musical junkie and a fairy tale aficionado, so when we come to the confluence of my two favorite things and the result is coming to a movie theatre near me on Christmas Day, I can’t help but to happily sing about it. Of course, I am talking about the upcoming release of Rob Marshall’s movie version of the Stephen Sondheim musical, Into the Woods. Purists may take issue with the shortchanging of some characters (a.k.a The Mysterious Man), or the dropping and adding of music, or the bypassing of still vibrant Bernadette Peters in favor of the more bankable Meryl Streep as the Witch, but all I want for Christmas is a terrific seat at the neighborhood Cineplex for the movie I’ve been waiting a very long time to see. While I am waiting, I will go back and watch some of my other favorite fairy tale-like or fairy tale-based movies that are perfect for your whole family to share. 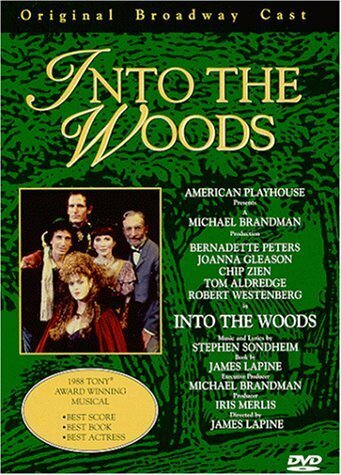 Into the Woods – yes, while you are building up to the big budget Disney version, you can go back and visit this filmed version of the stage play with the original cast: Bernadette Peters, Chip Zien, and Joanna Gleason. It will not have the production values that the new movie has, but it is the show that so many of us hold dear. Stephen Sondheim and his writing/directing partner, James Lapine, went back to the source material for the mostly Grimm tales of Cinderella, Rapunzel, and Jack and the Beanstalk. This is accessible Sondheim, by turns funny and sharp, or beautiful and message-filled. The message that is mostly heard is be careful what you wish for and be careful what you say. Because the stories are true to the sources, be prepared by Cinderella’s stepsisters to get their eyes pecked out by birds; the Giant’s wife to wreak vengeance on those who killed her husband and stole his treasure, and princes – two of them – who were trained to be charming; not good. “The witch’s Rap,” predates current rap music and you will marvel at Bernadette Peter’s ability to get through it with nary a breath. 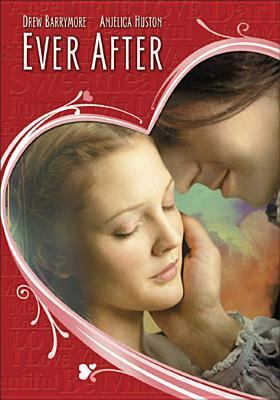 Ever After – among fairy tale movies, this is my favorite because producer/ star Drew Barrymore combined authentic fairy tale motifs with a “girl power” heroine. This is actually a version of Cinderella, in which the lass is indentured by her unkind stepmother (Anjelica Houston) after her father’s death. This Cinderella, Danielle (Drew Barrymore), is feisty, pelting the prince with apples and rescuing a servant from deportation by masquerading as her mother and redeeming him with gold. Leonardo DaVinci is an unlikely fairy godfather but totally believable in the role. There are two moments that simply make the movie for me. 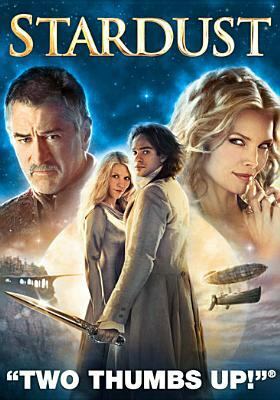 The first is when the prince (not always charming Dougray Scott) and Danielle are captured by a band of Romany bandits. Given a chance to escape with only what she can carry, Danielle flings the prince across her back in a fireman’s carry and rescues him. The other moment is Danielle standing at the top of a beautiful staircase in a glistening costume and reassuring herself to, “Just breathe.” The stepsisters, (Melanie Lynsky and Megan Dodds) have gone on to terrific careers of their own, but Lynsky in particular is outstanding as her mother’s less favored daughter. 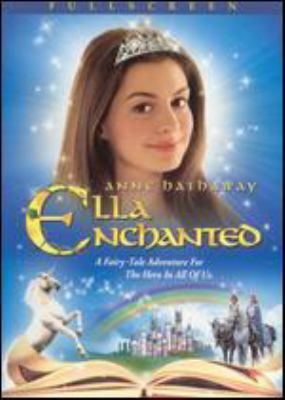 Ella Enchanted – based on a Middle Reader/ YA novel by Gail Carson Levine, this is another Cinderella-ish story with another feisty heroine. This may also be one of the first times you became aware of New Jersey’s own star, Anne Hathaway. Ella is cursed by a fairy with the questionable gift of total obedience, a fact her stepsister becomes aware of and exploits to her own advantage. Ella, of course, meets her prince, Char (Hugh Dancey) who is sort of the rock star of the kingdom, with young maidens swooning for the possibility of royal wedlock. Joanna Lumley as Ella’s stepmother is deliciously bad and Lucy Punch is delightfully evil as Ella’s stepsister. In addition to singing for giants in a memorable movie moment, Ella also champions the cause of elves to be more than the entertainment at parties. By the way, does the bad king look familiar? Behind the false beard and moustache is none other than Cary Elwes, the beloved hero of The Princess Bride. 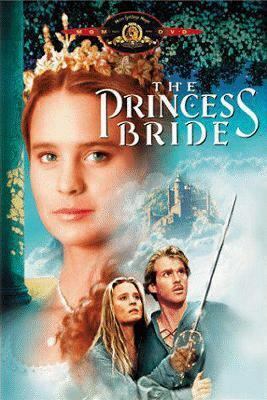 The Princess Bride – so, while we’re on the subject of this cult classic and everyone’s favorite fairy tale, let’s revisit this beloved masterpiece starring the aforementioned Elwes, Robin Penn, Billy Crystal, Andre the Giant, Mandy Patinkin and truly a cast of future stars. Directed with grace and humor by Rob Reiner, this story of the Dread Pirate Roberts and Inigo Montoya on a heroic quest to save the fair Buttercup is something that every person should see. The story is book-based, from the same titled book by William Golden, but the movie stands alone as a masterpiece of truly magical film storytelling. While we’re on the subject, Cary Elwes has just this year come out with a book of his memories of the filming of the movie, entitles As You Wish: Inconceivible Tales from the Making of the Princess Bride. The story behind the movie is intriguing in that it tells how it almost didn’t get made and almost was shelved because the movie studio did not know how to market it properly. Elwes is, perhaps, a bit self-effacing and his work might have benefited from better editing. However, for true fans, this is the story behind the story that will keep you thoroughly engaged. Splash – watching this movie again will make you realize how much time has passed since Darryl Hannah and Tom Hanks were young actors, and Ron Howard was a less celebrated director. This variation on the theme of The Little Mermaid casts Hannah as a beached mermaid who finds true love with a non-swimming human. Suspend reality and dive into the fantasy of how Madison, the mermaid, discovers the modern world outside her sea home. As Allen Bauer, the fruit vendor who stumbles into a fairy tale romance, Tom Hanks is still finding his feet as an actor. The late John Candy almost steals the show as his boorish brother, and Eugene Levy is fabulous as the somewhat evil scientist looking to expose the mermaid’s true identity. Stardust – based on a Neil Gaiman book, this is the story of a boy who comes to manhood by crossing through a fractured wall surrounding a magical forest. Claire Danes may be a tough spy on Homeland, but in this fairy tale she is a fallen star and Charlie Cox (who can currently be seen in The Theory of Everything) is the son of an enchanted bird/woman who discovers her and falls in love with her. Since this is a Neil Gaiman story, it is marvelously complex and plotted for maximum magic and features a radiant Michelle Pfeiffer as a beautiful witch. 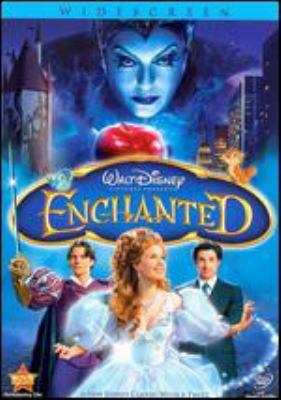 Enchanted – Amy Adams is a fairy tale princess incarnate in this modern fairy tale with a twist. Giselle (Amy Adams) is accidentally transported to modern day Manhattan where she finds her unlikely prince charming in the form of a divorce lawyer named Robert Phillip (Patrick Dempsey). Pursued through time and space by the evil queen (Susan Sarandon, who is deliciously bad), Adams still manages to spoof the Disney genre by getting pigeons, rats, and cockroaches to clean an apartment by singing to them. Idina Menzel (the voice of Elsa in Frozen and Elphaba from Broadway’s Wicked) as Dempsey’s jilted girlfriend is totally wasted in that she doesn’t get to sing. As someone who first saw Amy Adams in dinner theatre in her native and my adopted Colorado, I’m totally a fan. But Idina Menzel in a movie where she just talks? Come on! Hook – this appears to be the year of Peter Pan with Peter Pan Live just a week away on NBC, and a new variant story coming out as a movie starring the multi-talented Hugh Jackman as Blackbeard the Pirate instead of as Captain Hook. 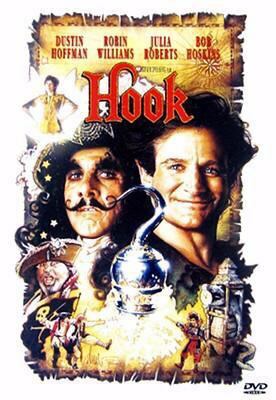 So, why not explore this unconventional version of the story with the late, immensely funny Robin Williams playing a grown-up Peter Pan who must return to Neverland to save his children from Captain Hook. The movie has lots of street cred with Steven Spielberg directing and Dustin Hoffman wonderfully malevolent as Captain Hook, but Williams undoubtedly steals the show. Rumor has it that Julia Roberts did not get along with Mr. Spielberg and was almost cut from the picture. One thing for sure is that her pixie haircut is not her best look. These and other fairy tale movie treasures are a sprinkle of pixie dust away at your local BCCLS library.